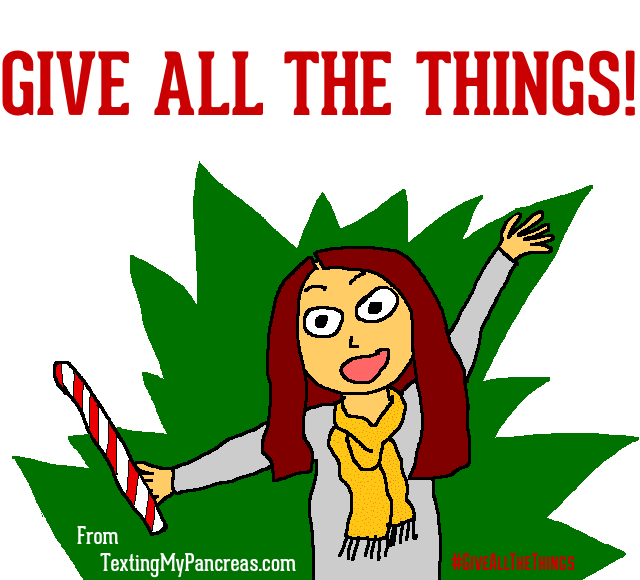 Texting My Pancreas: #GiveAllTheThings: Fancy Bags. Jennifer B.: The myabetic bags look cute and functional. I would love to win one. Happy Monday to you! It's Day Six of Give All The Things, and this week is FULL of stuff you grown-up PWDs will love. Have you been paying it forward this month? Don't forget to share your moments of kindness with the DOC by using the hashtag #GiveAllTheThings on Twitter! Okay, okay, enough of my yammering. Onto the free stuff! Product: The stylishly sneaky "Banting Wallet"! You can choose one of five color options - black, pink, or gold leather, red snakeskin, or black nylon (valued at US$31.95). Check out the details here. Why you want this: Myabetic creates and develops innovative, appealing, and functional products that encourage a healthy lifestyle for people living with diabetes. Their accessories are designed specifically to reflect individual style. I mean, who doesn't want an elegant, functional bag for their d-stuff? To enter today's giveaway contest: Leave a comment below, before 8:00pm CST tonight, with "Myabetic" in there somewhere. 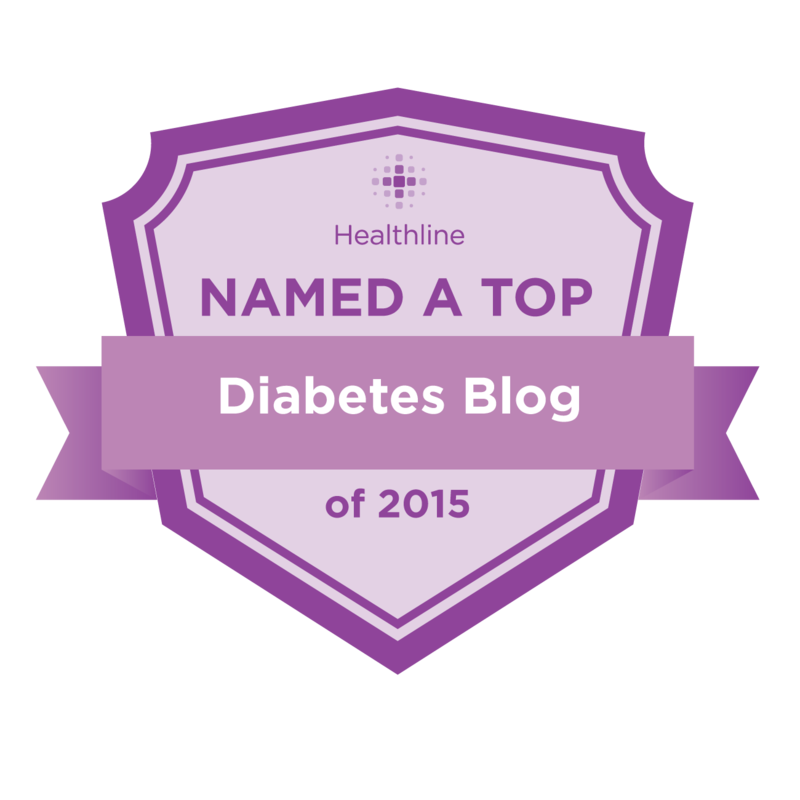 This contest is open to everyone (with diabetes), not just U.S. residents! One winner will be chosen shortly after 8:00, and this post will be updated with their name. Best of luck! A Myabetic bag would definitely come in handy when I travel! I would LOVE to be able to carry a Myabetic bag instead of the UGLY bag that came with my meter! myyyy ayyyyy ayyyyy oooooh: MYABETIC! darn autocorrect-= SLIN not SKIN!!! This Myabetic Wallet seems perfect for all my diabetes related stuff! I simply cannot get OVER the pink Myabetic Banting wallet! Pink! To match my pink G4 aaaand my pink Animas Ping. So much happy Myabetic pink :D Thanks so much for offering this awesome stuff! I have wanted a Myabetic bag for ages. Winning one would be the Holiday Treat of le century! I love the gold one. so so much. When I say "myabetic" in my head it's with an Italian accent. like "oh-a that's-a my-a betic friend-a!" Wow, wouldn't it be nice to cary a coloured Myabetic Banting wallet instead of my little black pouch that I can never find in the bottom of my backpack!! I would really love a myabetic bag!! 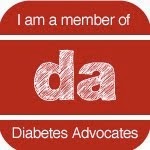 Being a young professional with Type 1 diabetes can be tough. You feel scattered and it's hard to have your "stuff" together. A Myabetic bag would be just the thing to help me keep it together. Myabetic bags would be so much easier to find in the black abyss that is my purse! 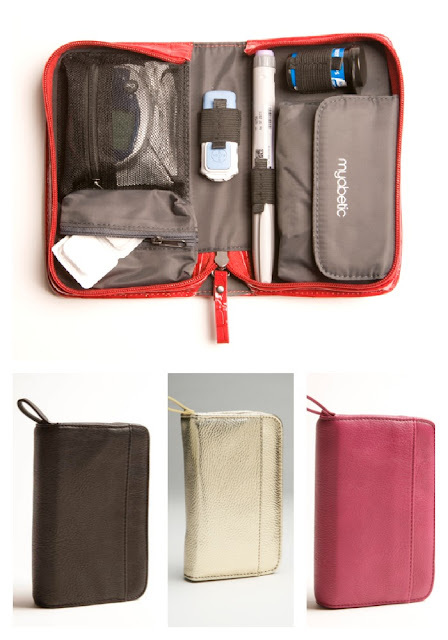 I agree with all of the comments about the usefulness of the Myabetic bag - It would be lovely to win one!! A Mybetic bag would be the hightlight of my day! I hope I get a MYABETIC! This Myabetic case should be on the cover of GQ or something. It is very sharp (like a new lancet). I could totally use a mybetic bag. My poor, basic black meter case is in a ramschackle state, and this mybetic one has handy extra pockets for other supplies I should be carrying (but often don't b/c they get lost or crushed in the bottom of my purse). I have a million ugly black nylon zipper cases full of functionality that are wasting away in a drawer with the rest of my d-stuff (maybe I should throw them away? I might be a hoarder...) all the while my d-stuff is strew throughout an assortment of cute (and incognito) wristlets, coin purses, and a sunglasses case. The Myabetic bag could, once and for all, settle my fashion verses function dilemma! Pick me, pick me! The myabetic bags look cute and functional. I would love to win one. I love Myabetic bags and would love to have one! A gold leather myabetic bag? Snazzy supplies! I'll be daydreaming of winning a Myabetic bag all day! I have one myabetic bag which I love, but is too big to fit in my current purse (fashion > diabetes), so I'd love this smaller one that could make diabetes & fashion go hand-in-hand! Myabetic is my fashion-ista hero! I really would love to win the Myabetic bag!! A Myabetic bag would look so much better in my purse that what I use now. Ooo...Myabetic! I could totally throw out my old, discount bought, full of holes and dried blood makeup bag!! That Myabetic bag would (almost) make me excited to test! A Myabetic bag would be a great addition to the new pump. I would love a Myabetic bag!! As a regular user of the word "fancypants", what better way to complement my pants (shoes, bag, hairdo, lipcolor choice, Dexcom 7+ slipcover, etc.) than with a fancy new Myabetic bag? That Myabetic bag would be fantatic! Itwas so fun being next to the Myabetic booth at FFL this summer. I've been drooling over their products ever since! Wow, I love the myabetic bag. I think I will be buying one if I don't win. I am sick of the ugly black onetouch cases. I'm looking for a new bag to carry my D-supplies because right now I'm just using a make-up bag. I'd love to try this Myabetic bag! I had looked at Myabetic products before,but the kids ones always seemed too young. This one seems like the perfect balance of cute and functional! I'm always looking to make diabetes look cool, and I've been dying to try the Myabetic products! myabetic supplies would look cute in the goldie! I'm positive the myabetic would work better than all the pencil cases that I've used through the years. This looks really nice, I'm looking for something new to cart my diabetes supplies around in. I have a good case, but the zipper is broken so its held together with a rubber band. Sometimes my meter or fingerpricker falls out into my handbag and gives me a huge fright when I go to use it and they're not there. But if I could get one of these myabetic wallets, it would solve my problems! This would look so much better with my Christmas outfit than that boring old black meter case. Myabetic bags might be the best way to be a stylish Diabetic! My wife could really use a myabetic! Would love a Myabetic bag - so much more exciting than the beat-up meter case! My diabetic would love a Myabetic!